Hogan had an extra spike in his shoe. It helped keep him down through his swing. When Hogan was just 9-years-old, his father committed suicide with a self-inflicted chest gunshot. It is believed that his father died right before his eyes, which is often cited as the reason behind his introverted personality in his later years. In 1949 he was involved in a near-fatal car collision.Despite the doctors mentioning that he would never be able to play again, a year later, he competed in the 1950 U.S. Open. He won it, playing 36 holes on the final day, despite severe pain. – Swinging without a million and one swing thoughts going through your head. – Playing golf and not trying to find a swing to use that day, because you have a simple one you can rely on and trust. – Having one key move that you practice and perfect, and the rest of the swing just falls into place. – Swinging with one key swing thought and that swing thought staying the same, from one swing to the next and from one game to the next. The advice I give you in this book, Stress Free Golf Swing is for you to have the simplest golf swing on earth. It finally solves the problem of golf swing timing for us busy golfers who don’t spend hours every day hitting balls. That’s a small sample from the new Stress-Free Golf Swing. To find out more about: The Stress-Free Golf Swing. Steve Wozeniak is one of 8 instructors in the Great Golf Without Practice Bootcamp where you can find 100 tips, tactics and techniques to work on your game anywhere, without practice. Just $19. Steve is a PGA Director of Instruction in Bellevue, Washington and has 25 years experience teaching 75 Tour players and more than 300 PGA and LPGA golf professionals. He has direct lineage to the teachings of Sam Byrd, Ben Hogan’s coach for over 20 years. While at the prestigious Ocean Reef Club in Florida, Steve has taught some of the game’s very best including Scott Piercy, Rocco Mediate, Jim Colbert, Jim Dent, Marco Dawson, Emily Klein, Leonard Thompson, Jim Mclean and Jimmy Ballard. With his easy to understand, “rid yourself of the nonsense” approach to the golf swing, he is one of the top instructors in the country. VACAVILLE, Calif. — The Northern California Section of the PGA is pleased to announce that Eric Jones, PGA Teaching Professional at The Bridges Golf Club in San Ramon, Calif., has garnered the 2014 NCPGA Teacher of the Year Award. Jones is being honored for his contributions to golf instruction for players and professionals at the facility, PGA Section, and National level. People of all ages and playing levels can take advantage of the resources at their local facility. There are PGA Golf Instructors there who can help them learn or improve their golf skills. Jones is a graduate of Stanford University where he played collegiate golf and also served as the Junior Varsity/Assistant Coach. He is one of only a few PGA Professionals who holds a Master’s degree in Sport Psychology. An accomplished competitive golfer, Jones has been playing golf for more than 45 years. He won the 2003 World Long Drive Championship title and captured his 2nd Long Drive Championship title in 2012. “I am passionate about the art and science of teaching golf. I feel strongly that the future of golf instruction lies not just in improving the swing nor in enhancing mental skills, but in the intersection of both disciplines, where the mind and the mechanics work together to maximize performance,” said Jones. 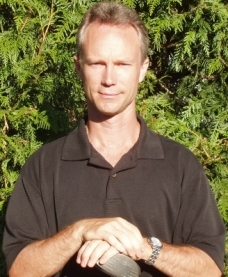 Jones is the author of more than 100 articles on golf, an expert consultant to the PGA, featured keynote speaker at major golf shows, founder of the Eric Jones Golf Academy, and author of numerous golf books including “The 5 Keys to Distance”, “The A-Game Cheat Sheet”, and “How To Practice Your Golf Swing Like The Pros”. His innovative books, videos and seminars have helped countless golfers elevate their performance. His teaching practice extends well beyond the traditional one-on-one sessions to include clinics, workshops, seminars, monthly training programs, online instruction, a radar-based training program and a new junior golf academy. By structuring a teaching practice with multiple forms of student engagement, Jones is able to provide the equivalent of more than 1,800 lessons per year and a variety of structured improvement programs that make instruction accessible to all levels of players at affordable price points. Ok, we all know the frustrating experience of just piping our driver and irons at the range but we can’t seem to hit the broad side of a barn on the golf course! How many times have you said to yourself “man, I was hitting the ball sooooo good at the range but I can’t seem to hit the ball anywhere I’m aiming today!” This happens to amateurs and pros alike. Imagine having a process, a strategy, that lets you take your very best driving range swing to the golf course?! Seriously. Read on… I remember getting to this part of how training and my eyes lit up and my heart raced in anticipation of what I might learn. You’re going to see almost all of it. There is definitely enough here to use and transfer your best swings to the golf course. I love this stuff! I’m not sure which is most important for golfers. Accuracy? Distance? Well, no matter which one might be in first place I know that consistency is my greatest desire in golf. In fact this must be near the top of most golfers wish list. You scan work on your swing and do traditional things to achieve this but I can guarantee you’ll NEVER have seen what you’re about that Wade created. It’s all about rhythm and timing and is so simple it’s ridiculous! But it just flat out works. Take the time to use this and you’ll be blown away at how your scores flatten out. The spikes up and down will dissolve and you’ll know, once and for all, what to do when your rhythm is off. When was the last time you were nervous over a putt or a shot? Maybe the last time you stood on the first tee! Hey, we ALL get nervous at least once in a while. After all, we’re human, not robots. Ok, here are some things you can do today and while you play your very next round to eliminate nerves. Better yet, to make nerves your ally instead of an enemy.